Aliens are invading the planet! 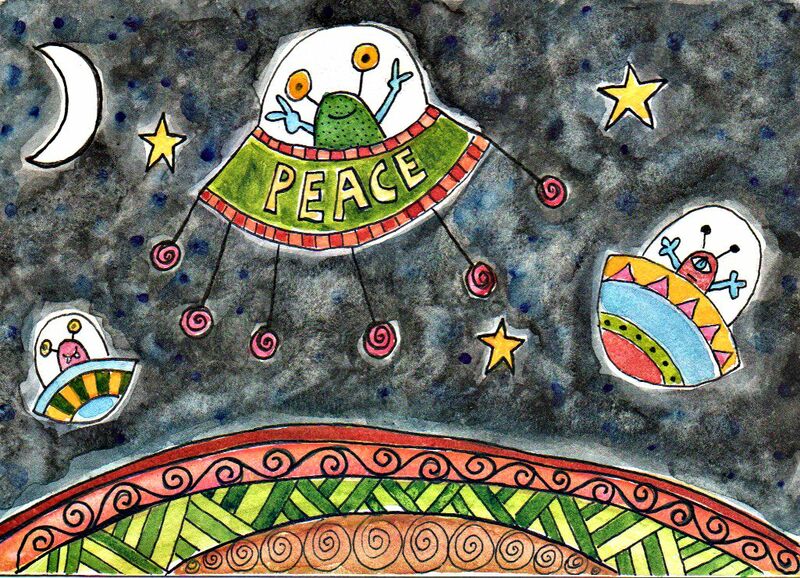 But not to worry, they come in peace. 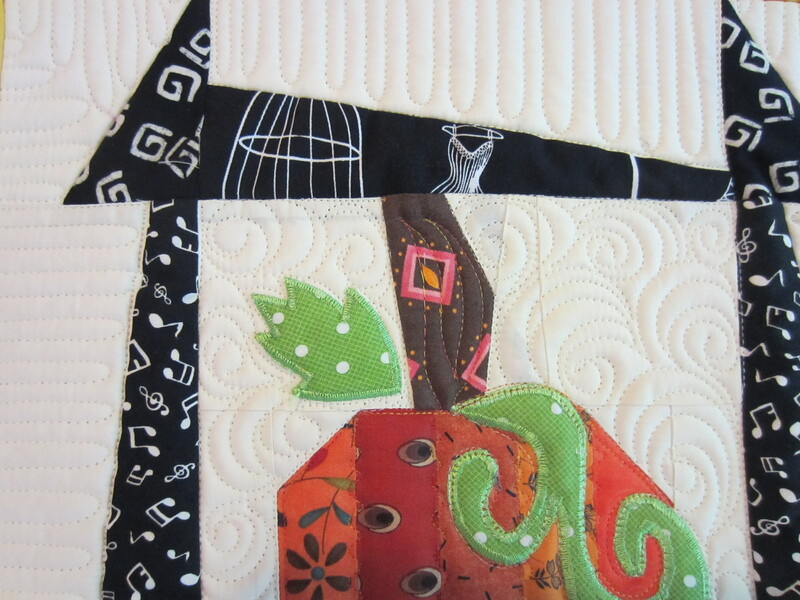 So why am I quilting pumpkins in June? Well, this block design has been going around in my head for weeks. I love the Fall colors and pumpkins. 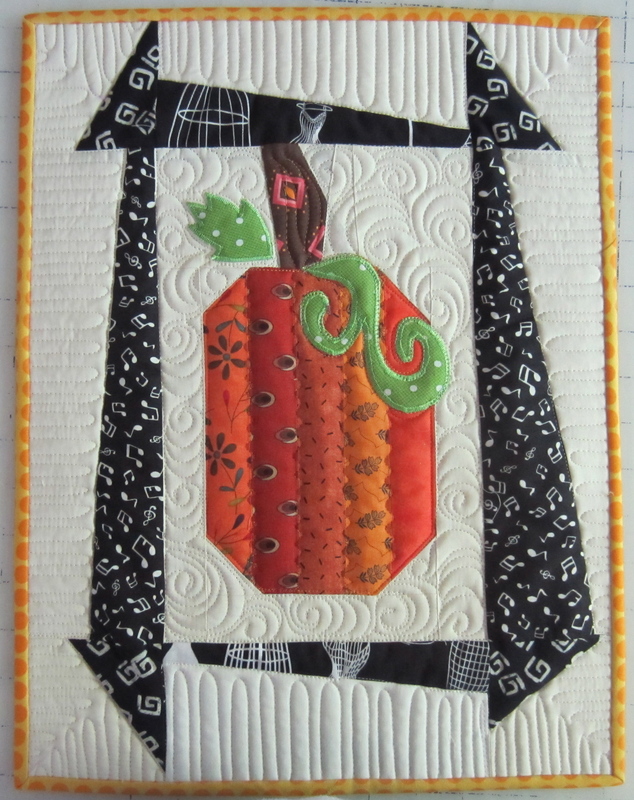 And since our guild bi-annual quilt show is this October, I thought a pumpkin quilt would be just the thing. So I thought I would start by making one block and see how it goes. The pumpkin itself is pieced from strips to make it scrappy. I created the stem and the black “border” (really a block within a block) with improvisational piecing to give it a wonky look. 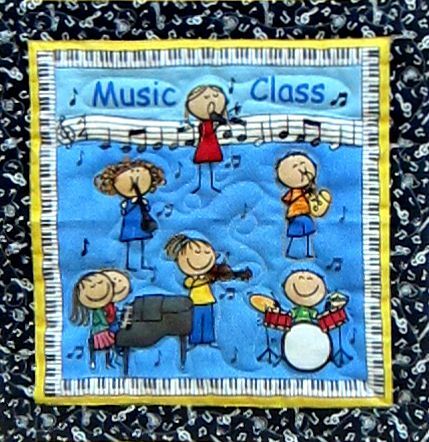 I used machine applique (with a wide satin stitch) for the leaf and vine. 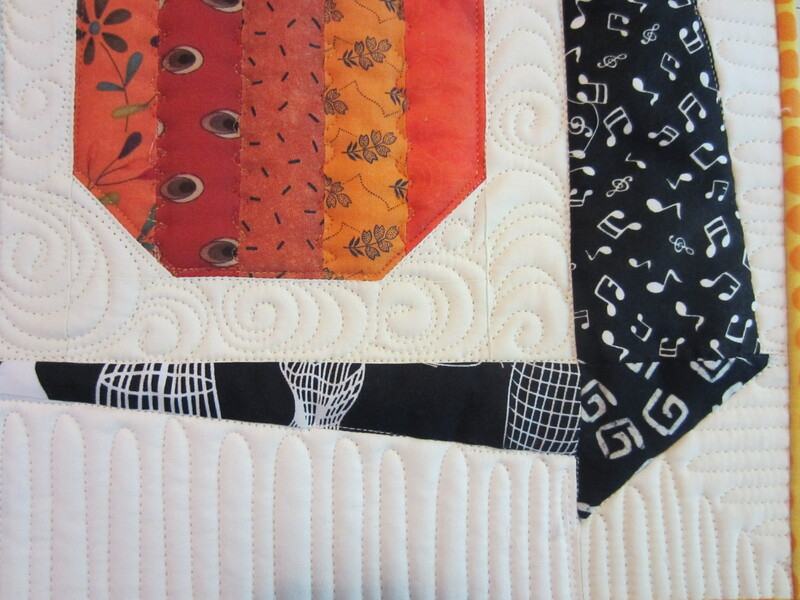 I also had some fun with the machine quilting. This small wall hanging will go in the silent auction at the show. I’m hoping to make the quilt about twin sized. 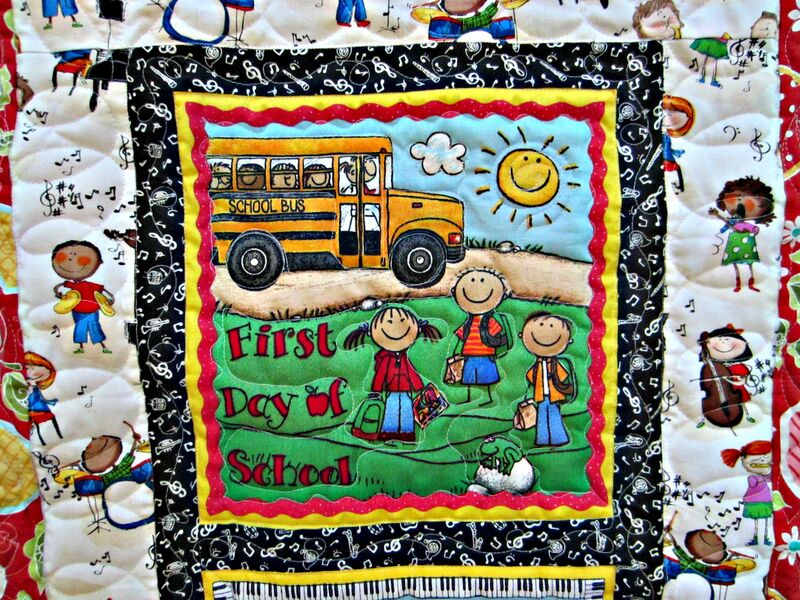 I have a few other quilts I have designed (in my head) that I would like to make as well. I’m not a very fast piecer, so we’ll see what happens. I’ll post my progress and maybe that will keep me on track as the summer progresses.